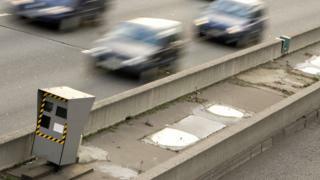 A baker has been fined €3,000 (£2,700) for speeding on the same Austrian road 42 times in a row. Heimo Wallner was caught by the same device every day he returned from work at three in the morning. He told Austrian media he could not see signs for the 30km/h (18.5mph) limit on that stretch of road in the dark - and drove at the standard 50km/h (31mph). It took more than a month for the first penalty to arrive - by which time he had clocked up dozens more. Mr Wallner started his job in Klagenfurt, about 30 minutes' drive from his home in the southern region of Carinthia, in February. He received his first speeding notice in May. "Then I thought there would be more to come - and it would get expensive," he said. Mr Wallner said he did not notice the speed camera - set up near a school on the route - because the area was always very dark in the middle of the night. His car was captured by an infra-red camera, which does not fire a visual flash. Out of about 50 trips, he was recorded driving at a consistent 50km/h 42 times in a row. He paid all 42 penalties to avoid the lengthy and expensive procedure to challenge them, he said. He told Germany's Süddeutsche Zeitung: "You cannot lodge an appeal against all the fines in one go, so I would have had to make 42 separate challenges." "These are a good two months' wages for me, and there's no rebate for a bulk fine either." Police did remove about €300 from his total, he said, but he has still had to cancel his plans for a Greek holiday. Mr Wallner added that his wife did not blame him for the expense.